An intriguing hike or an inviting beach is never far away. The diverse island geography includes tropical rainforests, mountain wilderness, mangrove swamps, azure waters and everything in between. Each setting is a playground for the sports nut. And the forgiving climate means it’s always a good time to climb, raft, dive or pedal. To fully appreciate the majesty of the Dominican countryside, visitors must get out and experience the many superb hiking paths (most are located within the national parks system; permits and guides may be required). 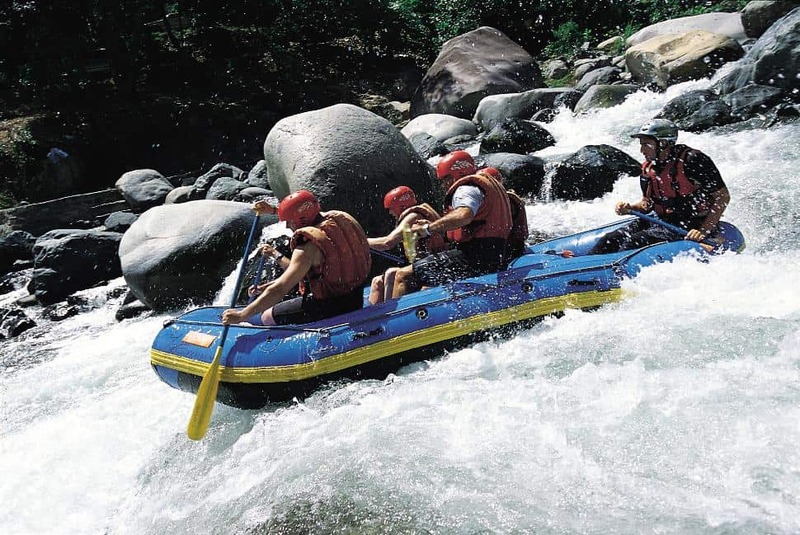 But there’s much more to do than lacing on a pair of boots and taking a stroll through lush, floral landscapes: canyoning (a combination of hiking, rock climbing, repelling and swimming), cascading (scrambling up waterfalls, sliding down water chutes), whitewater rafting and mountain biking opportunities are never far away. Dominican Republic Tourism BoardAnd if it’s preferable to let the horse carry the load, several resort properties offer guided horseback riding excursions to both subtropical forests and sandy beaches. Year-round play and a selection of world-class courses make the Dominican Republic among the Caribbean’s most popular golf destinations. There is a course layout to suit every skill level, from resort play to championship courses with enviable pedigrees (including designs by Jack Nicklaus, Pete B. Dye and Tom Fazio). 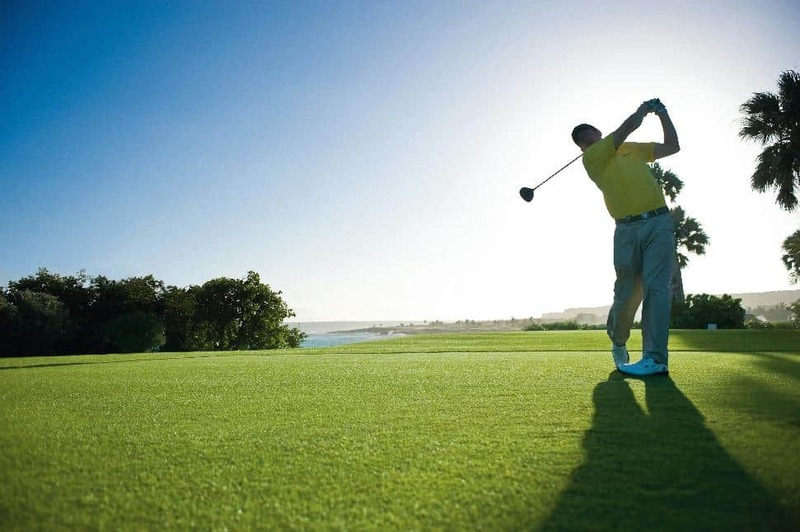 Punta Cana, La Romana, Playa Grande and Playa Dorada have must-play layouts on the best course lists. Baseball is a national obsession as well as the country’s national sport. During baseball season (October to January) it’s easy to find a game between local teams (two dozen major league teams have training camps here). The game’s roots go back generations, when workers learned the sport during downtime in the sugarcane industry. There’s an unmistakable passion for baseball in the Dominican Republic, so it’s no surprise that the country has produced some of the world’s best professional players. The warm waters and high winds of the North Coast are seductive to surfers, windsurfers and kiteboarders. The choppy waters off Playa Cofresí are excellent for bodysurfing and boogie boarding. Cabarete Bay (nicknamed “Kite Beach”) is considered one of the top five kiteboarding and windsurfing beaches in the world; it hosts international championships including the Kiteboarding World Cup and the World Cup Windsurfing Competition. Outfitters offer lessons and equipment rentals. Just a short drive outside of Cabarete is Playa Encuentro, known as a hot spot for surfers hunting for that perfect point break. Experienced boarders head for the more challenging waves at Playa Grande, Playa Preciosa and Playa Boba. Boards and lessons are available through local tour companies. The coral beds that fringe the island offer exceptional scuba diving and snorkelling, suitable for both beginners and experienced divers. Take the plunge and explore centuries-old shipwrecks and diverse coral reef formations teeming with colourful marine life. A variety of fish is just one reason why the Dominican Republic is a year-round paradise for the devoted deep sea angler. They come to cast a line for billfish, white marlin (especially off Punta Cana where they’re found in huge numbers), dorado, wahoo and sailfish.